Auscape has been in the landscaping industry for 39 years. The Commercial Division specialises in landscape construction for a variety of councils, developers and builders, and has developed excellent working relationships with professional companies throughout NSW. The Residential Division has transformed numerous clients' houses into their 'dream abode', producing a quality project they are proud to call home. Auscape's knowledgeable staff have a broad horticultural background and extensive experience that extends to both commercial and residential construction. This experience includes hard- and soft-scape works and a varied cross-section of design concepts important for onsite construction. 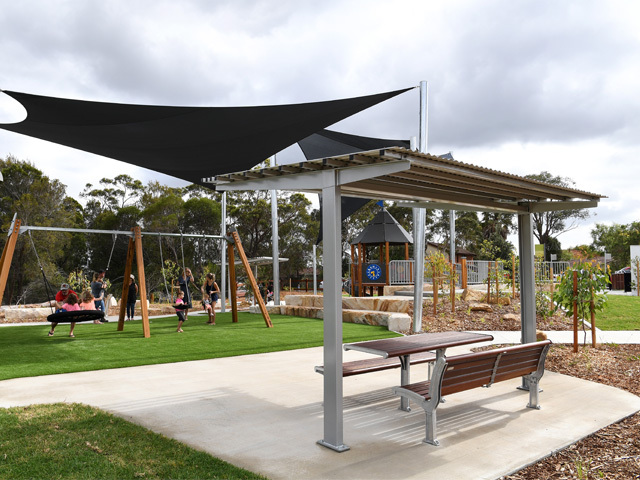 Under the Commercial Division, Auscape offers councils, government agencies, builders and developers the most up-to-date construction methods, implemented by fully qualified staff and horticulturalists and experienced landscapers. In the office, Auscape's efficient staff includes a Risk Management Coordinator who oversees all administrative and EH&S obligations. Auscape's Residential Division has competent, dedicated staff to turn people's landscape dreams into a reality, as well as a Maintenance Division that undertakes work for a large number of councils, developers and residential customers.